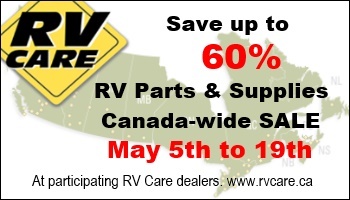 RV Care – CANADA-WIDE Part Sales – Save up to 60%!! ** Aqua Pro Deluxe 1/2″ x 25′ Water Hose — SALE $10.25! ** Husky Pin Coupler Lock – SALE $7.25! ** Husky Wheel Chocks – SALE $3.95! ** Lynx Levelers 10/PK – SALE $36.55! ** Dometic China Toilet – SALE $116.55! ** Thetford Awning Cleaner – SALE $5.75! 4/PK TOILET PAPER — Regular $3.95 – SALE $2.29!!! !